More Awesome Sierra Fox News! As if the recent release of ON PINS AND NEEDLES, and the upcoming print release of SPLIT AT THE SEAMS wasn't enough for me to be super happy about... I've got something else to share! I'm super excited to announce that I've just signed another contract with Samhain Publishing. 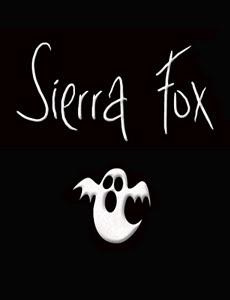 This is my seventh, and it's for the fourth book in my urban fantasy Sierra Fox Stories series. That's right, the penultimate book in Sierra's series will be released next year, and I'm SO excited about it!! 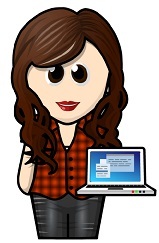 My editor Holly is awesome, and she totally gets the characters and the world. I had a blast working with her on the third book, so I can't wait to get stuck into this one. Oh, and before I forget, this is the title: TORN FROM THE SHADOWS. If you've read any of the books in the series, you might have a clue about what this title actually means. ;) A lot of stuff happens in this book, and some of it isn't good. At all. Evil author! LOL. Anyway, here's a little trivia: I actually wrote the first draft of this book during last year's NaNoWriMo. I love taking part in NaNoWriMo.